Since many of the readers of this blog are writers, Helen and I thought we'd preach to the choir this week. We would talk about our...ahem...writing processes. At least, this was the plan. And there we go. As I have whined more than once over the years, I'm not sure I have a process. I'm pretty much a pantser. I have settings I want to use for one reason or another, my only requirements being that the places I write about have four distinct seasons and are rural or small town. Characters approach me, usually with names and personalities intact, and ask me to tell their stories. For the first 15 or so books I wrote, that "process" worked fine, usually. There was the occasional recalcitrant secondary character who wouldn't stay toward the back of the stage, a notable heroine who never really changed from the start of her journey through to her happily-ever-after, a hero who was exactly like the one in the previous book. I had too many dimples in left cheeks and crooked smiles. Mostly, though, it worked. Then, suddenly, a few books back, the people who introduced themselves to me started standing with their arms crossed and defying me--defying, I say!--to come up with a story for them. Ten-page days became two-page ones. Deadlines became more frightening than exciting. Just last week I realized that the three chapters I wrote as part of a proposal were...well, they were dreck is what they were. (Isn't that a great word? I love it. But I don't like writing it.) I had to--loud gulp here--toss them. I didn't, really, because there are almost always parts you can use later, but they're not going to be in a book of their own. They didn't have a story I wanted to tell or anyone would want to read. The plan doesn't always work. So here I was, of that "certain age" that jumped up unexpectedly even though I knew it was coming, and I worried way too much and too often that my writer's voice is retreating to a nice retirement community, only coming out to play shuffleboard with my muse to tease me. Last weekend a new heroine knocked on the office door. I asked her in, complimented her brown hair, gray eyes, and her dimp--no, no dimples. I asked her where she was from. 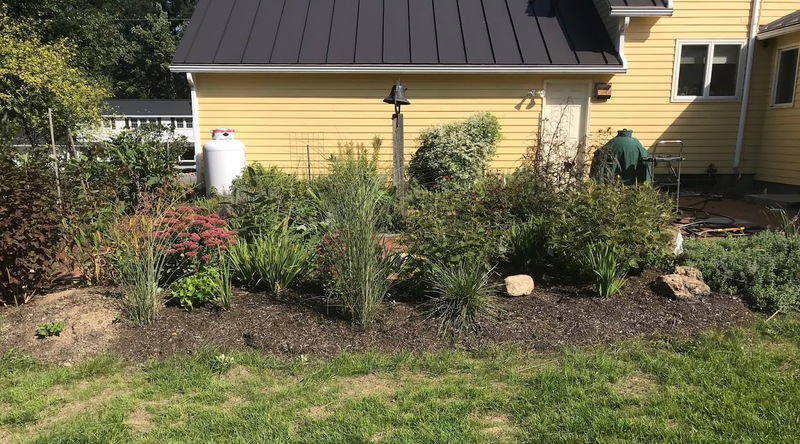 A small town in Vermont? Oh, good. Did she have a story? Well, maybe... Then I asked how old she was. She avoided the question for a little while, talking about being adopted and how after her mother's death she kept finding notes in books that renewed her curiosity about her heritage. I could understand that, was even intrigued by it, but...how old WAS she, for heaven's sake? I once heard a lecturer at a writers’ conference describe storytellers as either organized or organic. She then proceeded to unroll an eight-foot roll of butcher’s paper outlining her entire novel, chapter by chapter, scene by scene, down to the paragraph level. Guess I must be organic; I couldn’t produce that detailed an outline even with a gun to my head. I start with a main character or two, an opening scene, and a fairly firm idea of where they’ll end up by the end of the book. Beyond that point, my characters build their own story; I follow along in the dust recording how they work out their issues. Okay, I do considerable tidying up behind them, like the clean-up crew following a mounted parade. Once I become get to know them well, I have a good idea how they would or wouldn’t react in any given situation. On a few occasions, however, they grab control out of my hands. 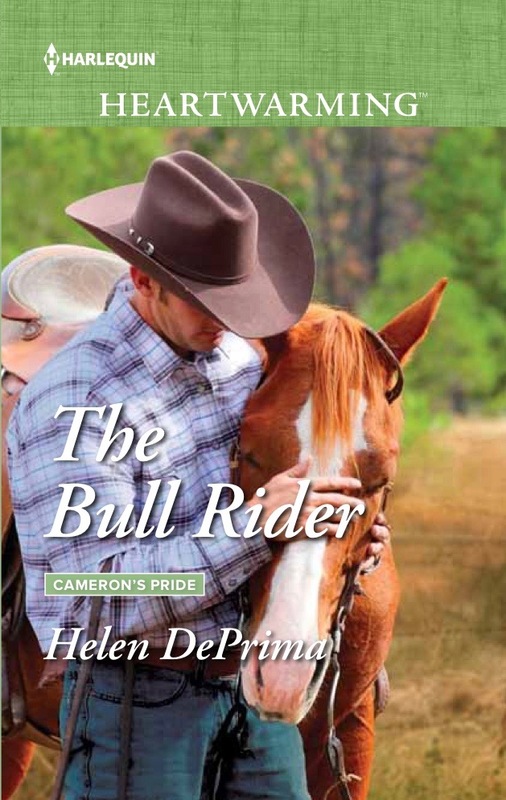 Half-way through The Bull Rider, my second novel in the Cameron’s Pride series, my heroine spoke three words completely without my permission, taking off cross-country with the plot in a direction I never foresaw. She was wiser than I; her willfulness enriched both the plot and the characterizations. Conversely, sometimes my characters go into hiding, refusing to play the game. 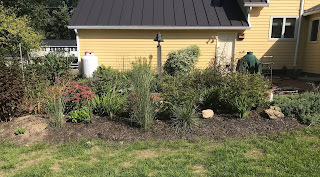 I counter their sulks by breaking for a stint of outdoor work – weeding my garden, going into the woods for a load of kindling, even shoveling snow. Nothing blows out the cobwebs like working up a good productive sweat. 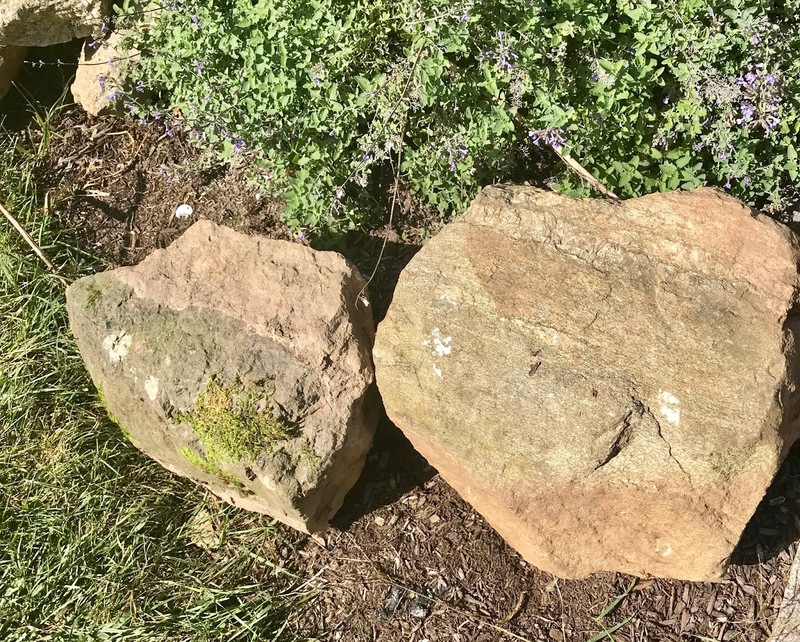 Right now, I’m building a stone retaining wall, digging rocks on our property and hauling them to their new home on a hand sled. I’m designing the wall much the way I write, putting stones in one place, standing back to study the effect, and then shuffling the whole dang pattern till it suits me better. 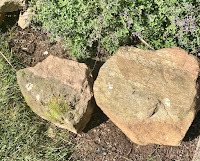 By the time I handle a few hundred pounds of granite and smashing a finger in the process between two good-sized boulders, my characters and I are one speaking terms again, ready to collaborate in bringing their stories to life. Beyond the book I want to complete for Heartwarming, a swarm of characters and stories are battering on the door, demanding to be let out. 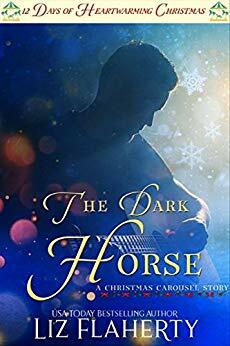 A mystery series with the backdrop of a Kentucky equine rescue, the tale of a young Marine vet with PTSD, a love story set on an island off the Maine coast . . . each one clamoring to be next. So many stories, so little time! I loved when Helen's husband said Jake would never say that. Success! Hi Janice -- glad you enjoyed our rambling and in my case, stumbling, process. One frustrating part I didn't mention: when the story is gelling in my mind, but I can't seem to set it down. I compose during and then the day's activities bury the midnight progress. Gotta learn to brush away distractions and git 'er done! Thanks so much Liz and Helen--I found myself amused all the way through. I feel the same way about characters who show up and tap me on the shoulder or knock on the door. I have such trouble getting them to stay in line and wait their turn for their stories. A few have come in dreams. The best part is revisiting them (in my head) to see how their doing now many years later. They have new babies and new houses, or new pets in a few cases. I think I'm like Janice when I start--snippets on scraps of paper that turn into something, I hope. I have those scraps, too. Sadly enough, I often don't remember exactly what I was thinking when I wrote things down. Good morning, Virginia -- my embryonic story of the young Marine came to me in a dream as well. The Down East love story grew in my mind as I sat exhausted on a friendly boulder near Winslow Homer's studio on Prout's Neck. I never bother to write ideas on paper, knowing for sure I'd lose them. Instead, I maintain a file called Scrapbook where I jot down everything from descriptions of people I've watched on the T in Boston or at a bull riding events to brief impressions of weather and scents and freshly plowed fields appearing as soft and even as brown corduroy. Greetings, Cathy -- glad if our comments help. One of the best tips I got from a highly successful mystery writer was not to reveal too much about the main characters early in the story -- let details come out as the plot development requires. I hate when a book tells me everything about everyone in the first chapeter. Make me wonder why . . . I hope you talk about NaNoWriMo afterward, Cathy. I don't do it--although I've tried in the past--but it fascinates me what people are able to accomplish. Good to hear that I'm not the only insa--er, organic writer. Writing a synopsis prior to the novel is torture. I plot out the novel, even as my chaotic side tolerantly lies in ambush to wreck havoc on the story. Good luck on the retaining wall, Helen! The whole synopsis thing prior is crazy. We all do it, but how many times do the actual stories bear little relation to the synopsis? I'm with you! I understand why editors want an idea where your story is headed before committing their time and money, but for me, a synopsis is a massive time-waster. Here's my ms -- if you think there's potential, I'll work my fingers off to the first knuckle to give you a good product. As for my wall, I just picked up a great piece of the Smoky Mountains yesterday to add to my project. Well your processes certainly works for you both, because I love your characters. I can't wait to read about the gray-eyed 45-year-old. I plot, although not to the degree of butcher-paper rolls. But my characters, like me, are sometimes a little shy and reserved, and they don't tell me their deepest, darkest secrets until later in the writing process, which often means going back and changing things. I sympathize about your reticent characters, Beth. I find out so much during the writing process, with the attendant adjustments required. Makes the journey a lot more interesting. I remember Kathleen Gilles Seidel saying she wrote 500,000 words for a 100,000 word book. I admit I'm not willing to do that, but how characters develop often makes you go back and change where they started! I had to laugh at the roll of butcher paper. I went to a workshop once where the author/speaker produced a large 3 ring binder with tabs for each chapter. Within the tabs were pages and pages of notes, photos, news articles, etc. I left the workshop thinking it'd take me a year to produce that notebook. From that she wrote a synopsis. But I still find it interesting and often helpful to hear how other writers pull a story together like you just did. Isn't it amazing how people who work so differently all produce great reads? I'm awe-struck by the classics produced before word processing; even a type-written manuscript was so much more cumbersome. And confining. Right now, I and my laptop are working from the porch of a log cabin in the Smokies, with nuthatches zipping by to the bird feeder. Rough duty. Oh, Helen, how you suffer for your art! :-) There are times I still miss the immediacy of writing in longhand, but mostly I'm glad for my laptop that accompanies me wherever I go. I loved this post so much! I'm always interested to hear about the writing process of others. As much as I try (so much) to be a plotter, I have discovered I'm really not much of one. Although I'm not a true pantser either. I actually suspect that there aren't very many "true" pantser. (Especially writers who sell on a proposal.) But I am embracing being a plantser. Or tweener. Or whatever you want to call it. I always feel like my first 3 chapters are my getting to know you chapters and 90% of it gets tossed, but I need those chapters to get to know my characters and put me on the right path. And I love it when they finally take over and tell the story themselves. As you say, LeAnne, the early chapters are for becoming acquainted. I do a lot chopping and rearranging there. I've discovered my best writing voice is by letting my two main characters speak out in alternating chapters, since they're frequently not in each other's company. Sometimes the story elements have to overlap, but the finished product seems to smooth out by the end, kind of like blocking a completed knitting project from a clumsy bundle to something approaching handsome. I hope -- right now I'm almost done with a sweater with instructions written in British, mostly incomprehensible. I may end up with three sleeves. I'm glad to know I'm not alone with recalcitrant characters! Sometimes I've started a book with just a scene in my head, no plot, just an image. Everything seems to work out by the time the first chapter is written. One of the speakers at a workshop I attended seemed to think books had to be written one way, and one way only. I.e., the story plotted out in detail ahead of time, each character defined, and so on, before the first chapter is started. I'm in favor of whatever works. Callie, you've hit on an important point: there's no one-size-fits-all way to write. I attend a wonderful event every year put on by the New Hampshire Writers Project, a day-long symposium with workshops touching on every kind of writing. I take away a little something, sometimes more than a little, from each speaker, to integrate into my own view of how it's done. Listen politely, but never be bullied by "experts." As a plotter and planner, I loved reading this post! Pantsers are a bit of a mystery to me! I would like to try a book without plotting, but I don't know if it would work. Even though I often deviate from my plot charts once I start writing, my plans give me the confidence to create. Thank you so much for sharing! Great posts! I cut a cartoon out of the newspaper eons ago and it's still stuck to my refrigerator. A woman is hunched over her typewriter, writing away. Standing on the other side of her desk are a cast of characters, obviously from the story she's writing (which looks to be a western) and feeding out of the typewriter is yet another character, half formed. (Calvary officer?) The door to her room has opened and her husband is standing in it, holding a platter stacked with sandwiches. His expression is one of dismay. He says, "Another character, Donna? We can't afford to feed this novel as it is." Secondary figures are such fun; I love meeting them through my main characters. Some are new to me, while others are composites of people I've known. I grew up with two strong Southern women; their personalities crop up in various manifestations.